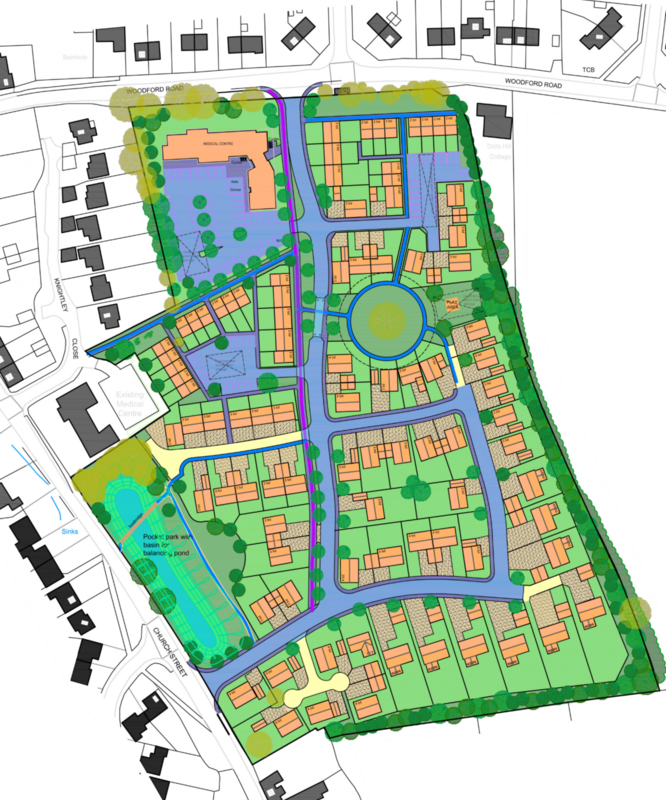 A large development on a greenfield site at the edge of Byfield. 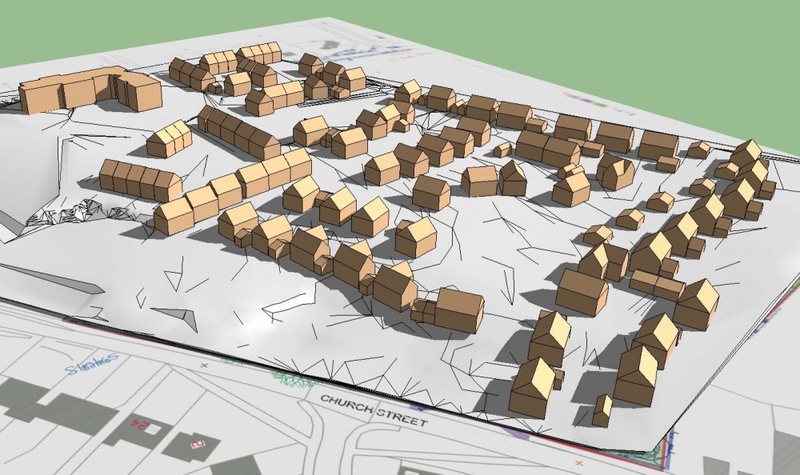 The brief was to develop the plot with sufficient return on the residential properties to fund a new medical centre to cater for the increasing needs of the expanding population in this area. Complex planning issues had to be addressed, which included the preservation of existing mature trees within the layout and aligning roads so that views of the village church were maintained. A pocket park was designed to accommodate a balancing pond that would hold back the storm water run-off from the site. Public consultations were carried out to ensure the opinions of the local population were taken into account during the design process.